• Never again miss your favourite movie when it is showing up on TV. 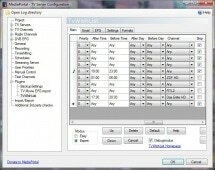 match it will record and/or send you an email. 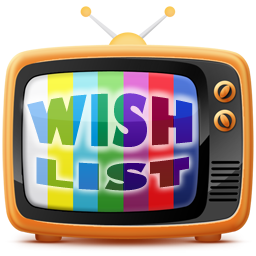 • TvWishList will only record one show if it is repeated at multiple times. 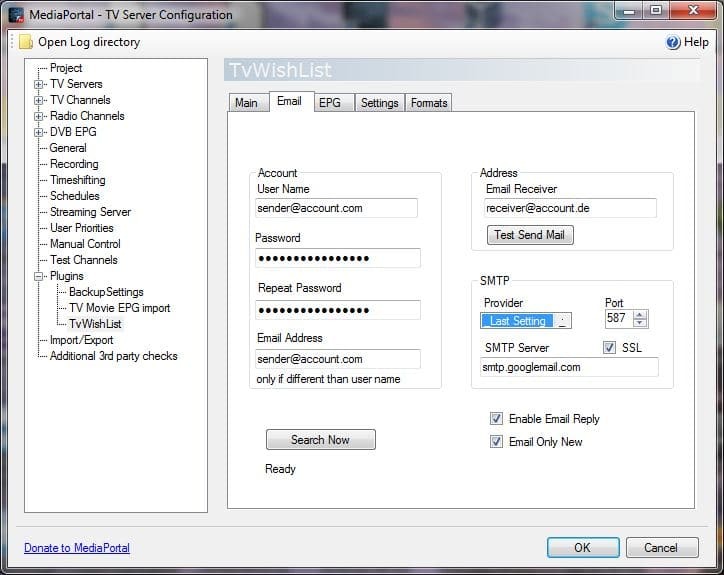 • You can choose partial or exact match for program titles or search the program description. 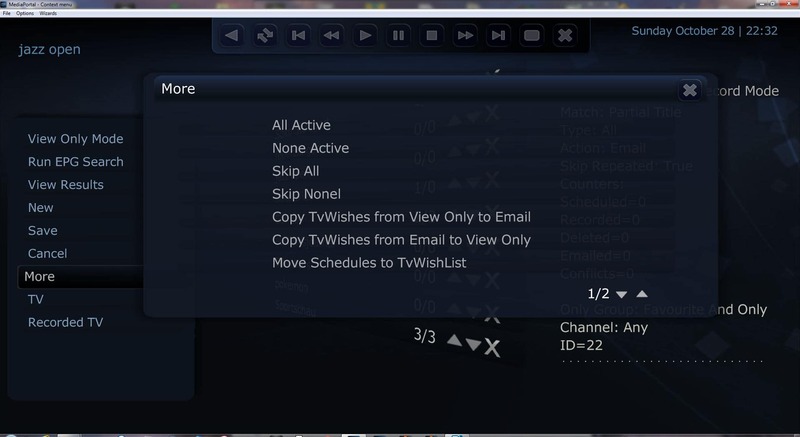 do a right click with the mouse or press the info button on the remote. - Push the buttons “Readme”, “Install” and “Exit”. 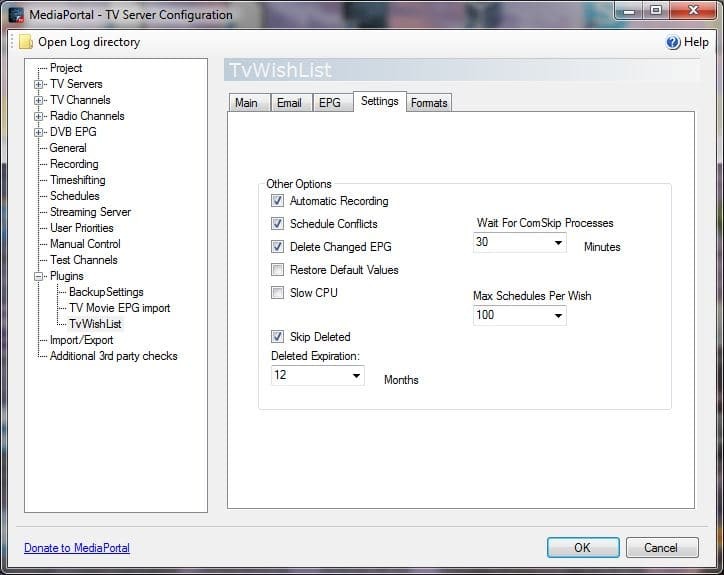 Enable the plugin in the TV server configuration. 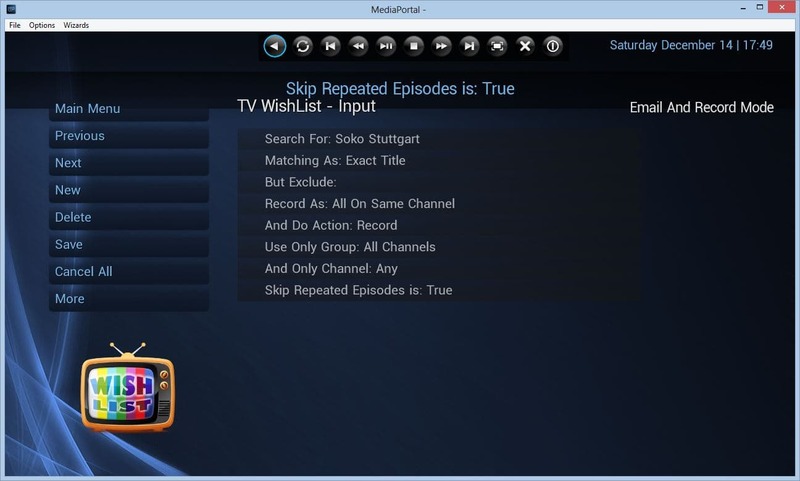 %PROGRAMDATA%\Team MediaPortal\MediaPortal\Installer\TvWishList folder. 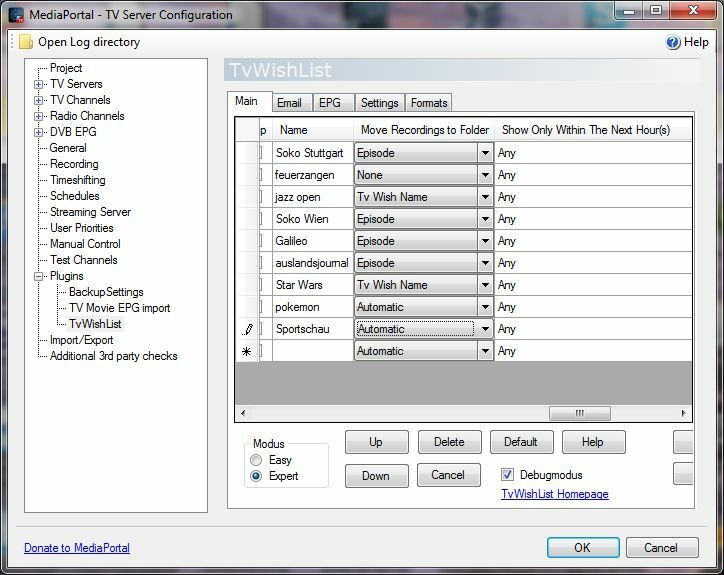 If you have a computer with a TV server only installation you can copy this folder to the TV server and install it there. 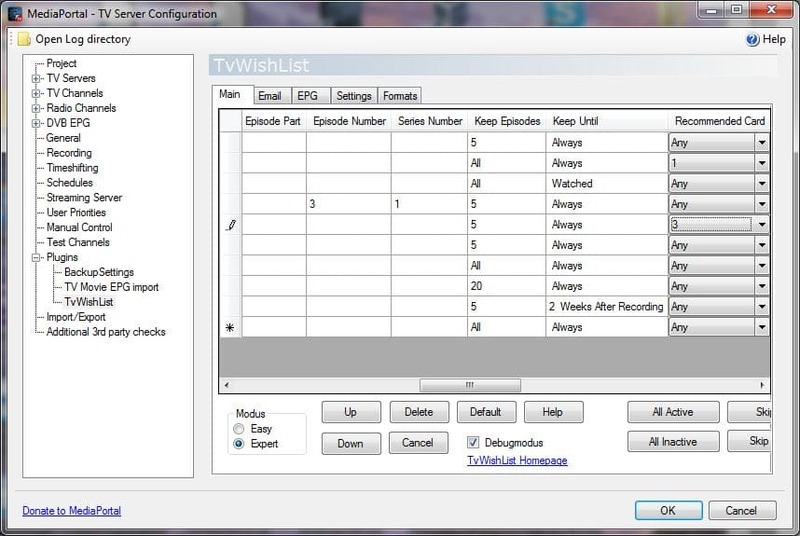 Enter the title of the movie you want to record in the "Search For" textbox and activate the checkbox. 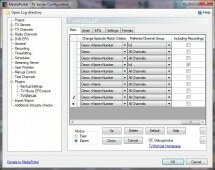 I have been using mediaportal for 4-5 years. 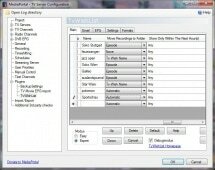 With this plugin I never miss any recordings year in, year out. Set and forget my favorites and it keeps recording them without me intervening each year. So good. 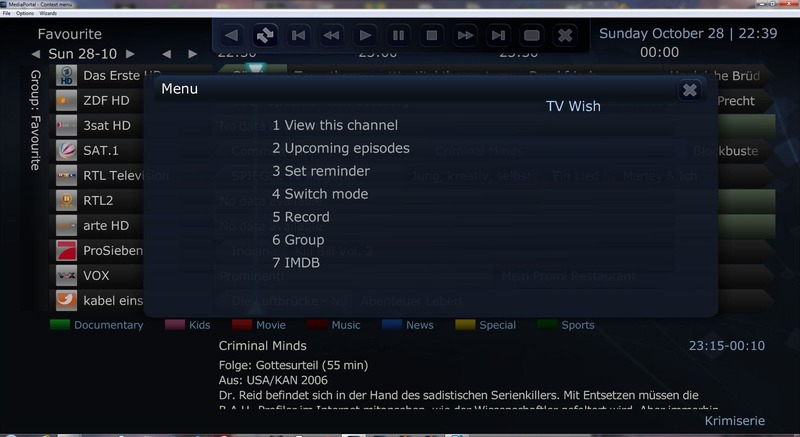 If you have a decent EPG set-up then this plug-in is a god send. It's really easy to set-up basic searches, but with a little effort in SQL you can make this thing jump through some amazing hoops. 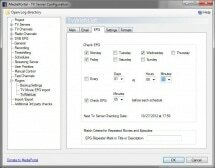 The 'View Only' mode is hardly mentioned in the Forum or plugin manual, but setting up searches that don't record, but can be viewed are excellent. I can jump in when I feel like it and see what new series are starting, what films I'm not automatically recording might be of interest. 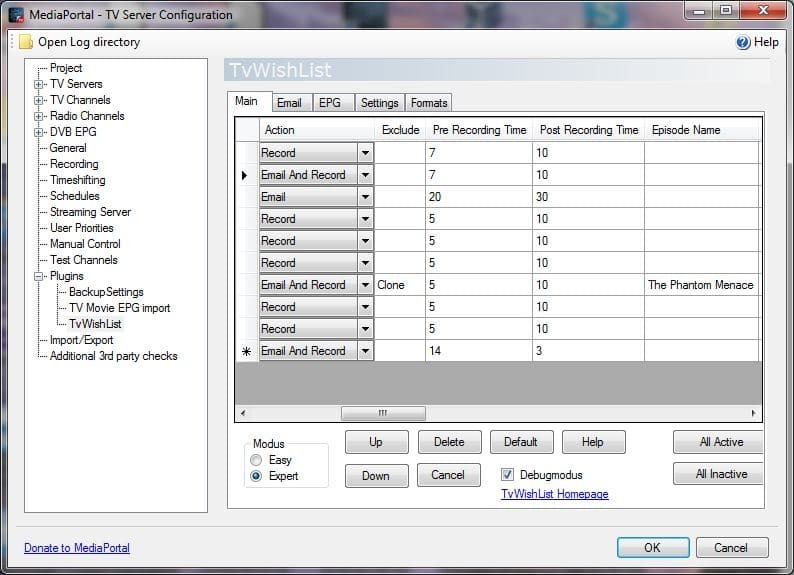 I'm going to need a bigger recording drive for all the great TV I'm finding with the help of this plugin. 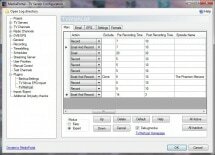 This plugin should be a standard features. 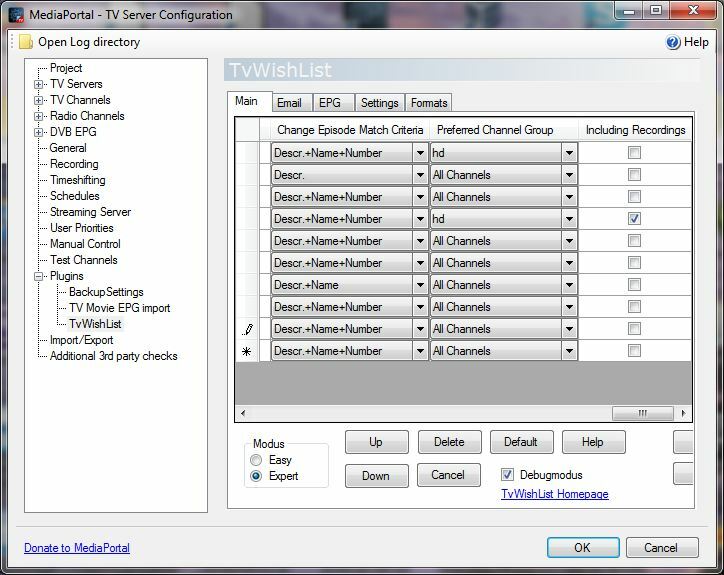 It does not work properly selecting the correct season and i had to use a walk-around through the sql expression, but really boost up my usage of the tv. The title says it all. I had TiVo and missed it hugely when they left the UK. 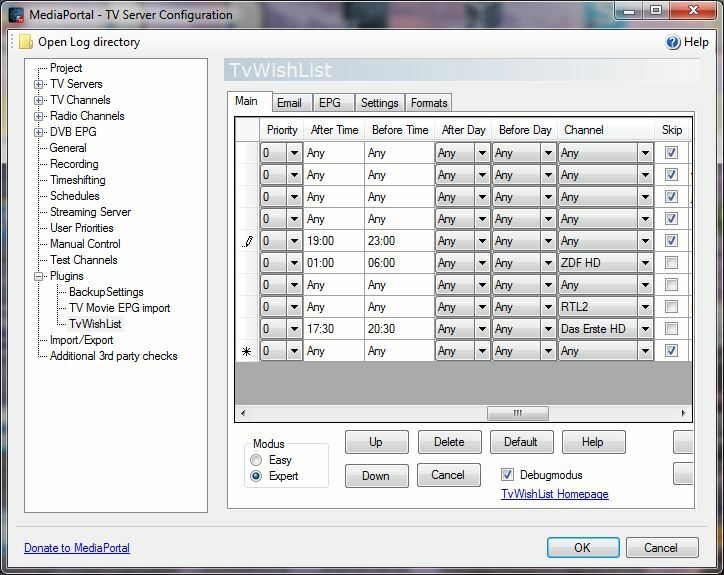 I kept going but realised it was not the way to go to record digital signals directly (TiVo used SCART) so I tried MediaPortal - good but I still missed TiVo. 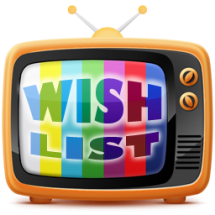 With TvWishList I don't miss TiVo anymore.  Specifically I can enter a name that doesn't exist currently/yet and when it turns up it will get recorded or I will be informed. 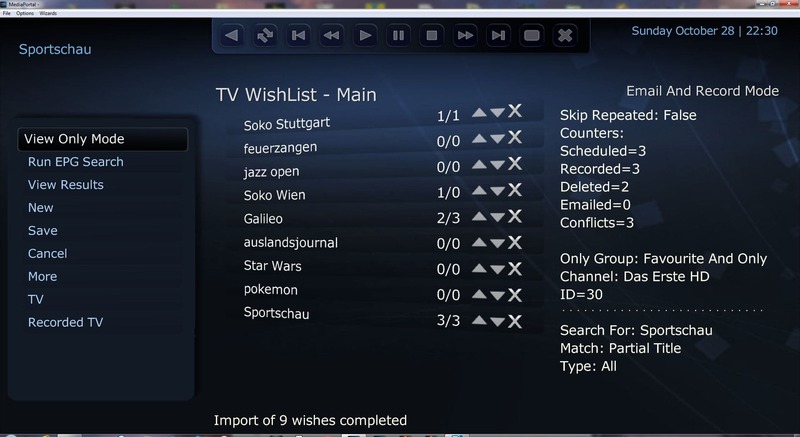 Not only that I can make a wish inactive - with TiVo I had to delete it! This way I can keep it but just not get a lot of recordings I don't currently want. 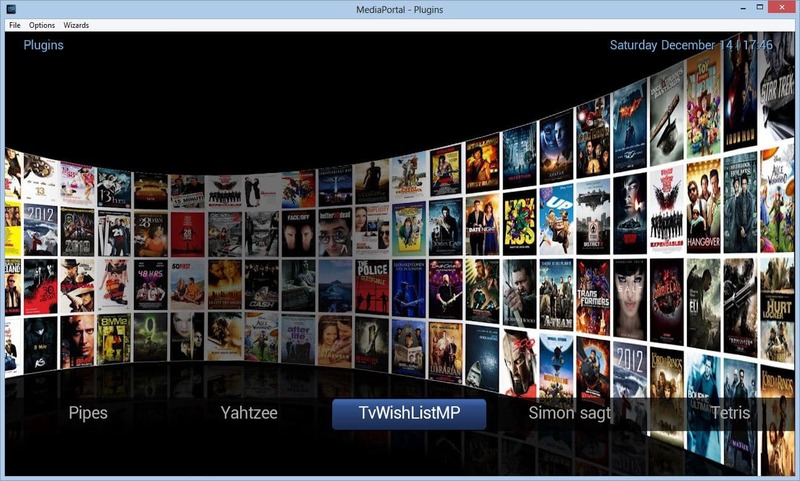 MP is good, TvWishList makes it better.